South Fuji area is located the southern area of Mt. Fuji(富士山) in Shizuoka(静岡) prefecture. Mt. 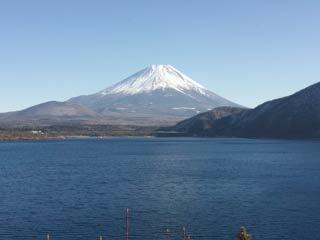 Fuji is on the boarder of Yamanashi Pre. and Shizuoka Pre. Not like North Fuji area, this area faces Suruga Bay. So, fishing industry is one of major industries in this district. Also, there are many green tea farms. Green tea of this area is considered as a one of the best Japanese green tea. This area is the only spot where you will have great view of Mt. Fuji and sea at the same time. Use Tomei Express Way. Exit at Numazu. Use Tokaido Shinkansen to Mishima Station.